How to maximise signal collection for the highest quality EDS data in your in-situ liquid TEM experiments. Perform EDS elemental analysis in your electron microscope while simultaneously acquiring in situ data and videos. With optimised EDS chips, you can enhance your TEM’s performance and ensure you’re collecting the best possible data for EDS maps. The new chips make also EDS analysis available at any time throughout your entire experiment. Compatible with both the current and older models of the Protochips Poseidon in-situ system. 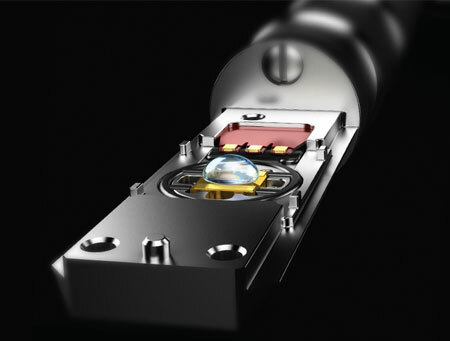 The Poseidon can be used with any TEM to add in-situ liquid microscopy capabilities. 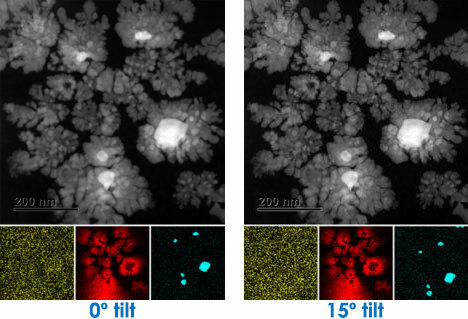 Performing EDS elemental analysis while simultaneously acquiring in-situ data and videos enables you to investigate structural, chemical and morphological changes at the nanoscale, in real time. The new E-chips for the Protochips Poseidon Select give you a significant advantage over the standard E-chips in EDS experiments. EDS signal collection is greatly improved, with much less shadowing on the detector. Performance is significantly improved, even at 0° tilt. You can acquire rich, dense EDS maps at any tilt range for applications including tomography, crystallography and electrochemistry. The new EDS optimised chips have the same simple holder assembly as the standard chips. With reduced chip material, they are as safe and reliable as all Protochips E-chips, with the added benefit of improved EDS performance. Count Per Second (CPS) is improved by up to six times compared to standard E-chips (depending on the detector configuration). This shortens acquisition times, for higher throughput and time efficiency. EDS elemental analysis is available at any time throughout your experiment. Acquire results whenever you need them, at the click of a button, even at 0º tilt. Higher count rates (CPS) give you better quality data. The new chips optimise CPS even at 0º tilt. This is the most important factor for high quality data. The more X-rays that are collected, the better the EDS results. CPS can be maximised by using detectors with larger collection angles or multiple detectors. Streamlined in-situ holders and MEMS devices that minimise obstructions also improve CPS. 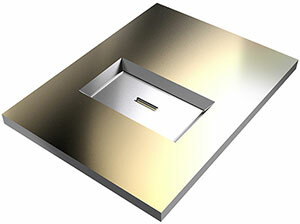 The new EDS chips improve CPS by up to 6 times, depending on your configuration – contact us for details. Higher counts per second give you better quality data. A direct line of sight between the sample and detector is important for collecting X-rays efficiently. Sample geometry, pole piece gap, sample tilt and holder geometry can all block X-rays from reaching the detector. 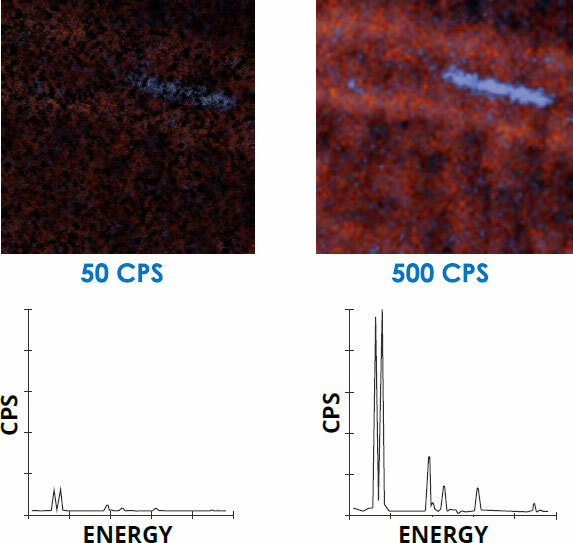 If the detector is shadowed, the CPS is reduced or sometimes completely eliminated, even though some non-characteristic counts may still be detected from fluorescence. The new window e-chips significantly reduce shadowing, to maximise your count at any tilt. Standard chips can obstruct the line of sight, limiting the amount of X-rays collected by the detector. EDS chips optimise the line of sight to give you the best results. 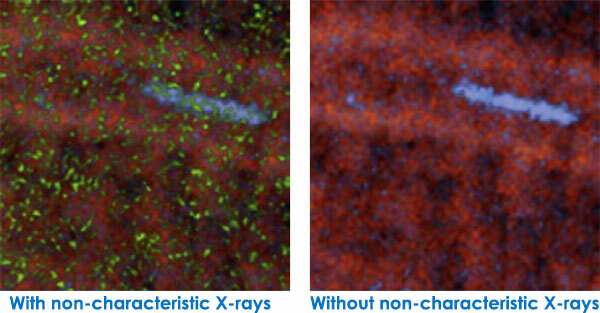 Scattered electrons and reflected X-rays can create secondary X-rays. This can make the detector pick up elements such as Fe, Cu and Si, even when the detector is shadowed. For accurate results, it’s important to collect only characteristic X-rays for your EDS maps. Non-characteristic X-rays obscure your EDS spectra and give you false results.